This technology originated in both Europe, at the Aerospace Institute in Berlin (see [Lo et al., 2005]), and in the US. ORBITEC has developed technology in the US, performing extensive work in cryogenic hybrid rocket engines. This patented family of engines uses a cryogenic solid as the fuel (or oxidizer) grain. The cryogenic hybrid offers the safety and relative simplicity of hybrid engines coupled with the performance of cryogenic bipropellant engines. The latest addition to this family, the ACHRE-I, uses a solid-oxygen (SOX) grain with liquid-hydrogen fuel. Fully loaded, the ACHRE holds a 5 kg SOX grain and produces 120 lbf thrust. Liquid hydrogen is used both as the fuel for firing and the coolant for the SOX grain formation process. The ACHRE is intended for use as a high-performance launch vehicle kick stage or orbital transfer vehicle. Future work with the ACHRE will explore the use of solid ozone (SOZ) mixed in with the SOX grain. Addition of 50% SOZ will result in a significant performance gain: specific impulse is increased by nearly 20 seconds. 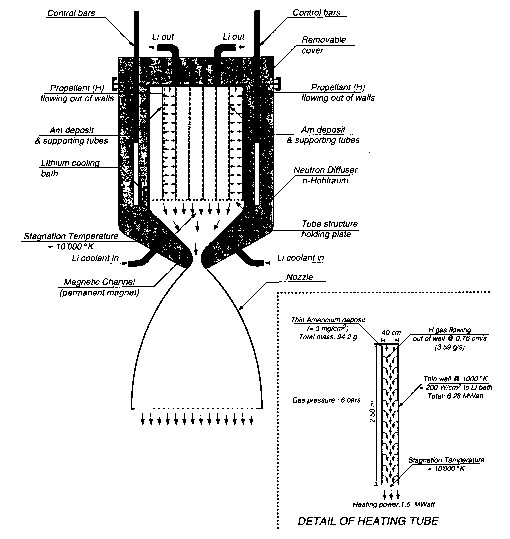 Over 80 successful hot-firing tests have been performed with various propellant combinations in ORBITEC's "workhorse" Mark II cryogenic hybrid rocket engine including solid oxygen/gaseous hydrogen, solid hydrogen/gaseous oxygen, solid carbon monoxide/gaseous oxygen, solid methane/gaseous oxygen, and other solid hydrocarbon fuels.